Violinist Müge Büyükçelen-Badel, born in 1975 in Istanbul Turkey, started playing at age 9. She studied at the Istanbul State Conservatory, where her natural talent was quickly recognized and was awarded the "best young musician" award. She studied privately with Nicolai Chumacenko, Sandra Goldberg, Ayla Erduran, and Burkhard Godhoff. She holds a Masters degree in music performance from Bilkent University, in Ankara Turkey, and an associate teaching diploma from the Victoria Conservatory of Music in Victoria BC Canada. She has taught and performed at the Toulouse National Conservatory and is a former member of the Bilkent Symphony Orchestra. She has won numerous awards including first prize at "The Violin Competition of the Turkish Cultural Ministry" and first prize for "The Best Interpreter of Turkish Composers ". Currently she performs with the Galiano Ensemble, Victoria Symphony, Emily Carr String Quartet and the Aventa Ensemble. She has been a featured soloist with numerous orchestras, performing in France, Switzerland, Italy, Turkey, North America, Costa Rica, Oman and Bahrain. In 2009, Müge performed the world premiere of a piece dedicated to her called "Archimedes' Codex" composed by Michael Oesterle with The Victoria Symphony. She also premiered "La Fenetre II" by Yannick Plamondon with the Aventa Ensemble. In 2011 she completed a CD recording project and launch with the Emily Carr String Quartet entitled Hidden Treasure. Cory Balzer began playing the violin and piano at the age of five in his hometown of Calgary, Alberta. 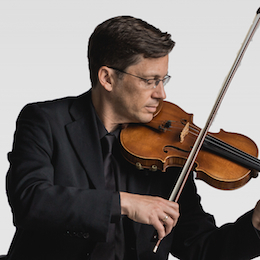 Since his early days studying violin with Dr. Lise Elson at the Mount Royal College, he has gone on to perform in recitals and concerts throughout Canada, US, Australia, Asia, Europe and the Caribbean. He has performed in venues as diverse as Carnegie Hall and the Sydney Opera House to Sidney BC. Following completion of a Bachelor of Music Performance degree at McGill University, Cory played for two seasons in Les Jeunes Virtuoses de Montreal. As a member of the Cartier String Quartet, he was a winner in the Debut Young Concert Artists Series and performed on CBC and Radio Canada on several occasions. Cory continued his studies with Kenneth Goldsmith at Rice University in Houston, Texas where he earned a Master of Music degree. In 1997 Cory moved to Victoria to join the Victoria Symphony. He spent the 2000 and 2001 seasons playing with the Trius quartet at the Shaw Theatre Festival in Niagara-on-the-Lake ON. The quartet performed bi-weekly concerts in addition to being heard in various plays and musicals for Shaw Festival. The quartet also embarked on a Rocky Mountain Tour bringing music to many smaller towns in Alberta and BC. Cory has also played at the Charlottetown Festival and has participated in festivals at the Banff Centre, Stanford University, Snowbird (Utah) and Meadowmount School of Music. 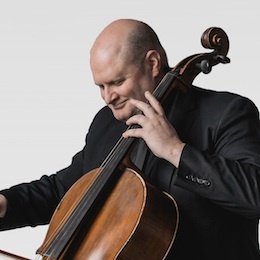 Cory has been a member of the Galiano Ensemble since 2001 and a founding member of the Emily Carr String Quartet since 2006. 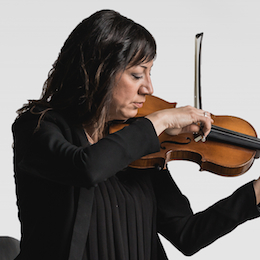 Originally from Victoria, B.C., Mieka Michaux is a versatile orchestral and chamber musician performing in many ensembles on both modern and baroque viola and violin. Mieka holds a Bachelor of Music from the University of Victoria, B.C. and a Master of Music from Rice University in Houston, Texas. She has also attended the Music Academy of the West, the Banff Centre for the Arts, Orford Centre for the Arts and the Tafelmusik Baroque Summer Institute. Her principal teachers include Yasuko Eastman, Joanna Hood, Karen Ritscher, and Karen Tuttle. 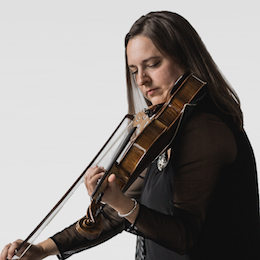 She is a core member of the Victoria Symphony and also regularly performs with one of Canada’s finest new music groups, the Aventa Ensemble, the newly formed ensemble, Victoria Baroque Players and the Emily Carr String Quartet. She has also performed with the Vancouver Symphony Orchestra, National Youth Orchestra of Canada, Vancouver Island Symphony, Galiano Ensemble and Pacific Baroque Orchestra.